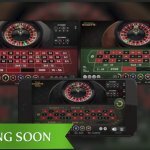 Play Baccarat Pro for real! Over 500 years old, Baccarat is definitely one of the oldest card games around. Although in the last few decades the game never tend to be very popular, at least not as popular as it is these days. Especially with Asian players of whom I know they flock to the Baccarat tables, as if the game is for free. Numbers don’t lie and show that two-thirds of Macau’s casino revenue comes from VIP Baccarat. And once they have found their way to the Baccarat VIP tables, they act super superstitious, something very typical for Asian players. This superstitiousness is reflected in the way Asian people tend to play Baccarat by creasing the corners of their cards, just to see what numbers they were dealt. They might also blow on the cards to “blow away” all bad luck. Oh well, nothing wrong with some rituals at a casino table, although the casinos aren’t always pleased by these type of players. Because of the rough handling, the cards can only be used once. Though James Bond’s favourite game is overshadowed by blackjack and poker in Las Vegas, the preferences of wealthy Chinese gamblers is changing that. Some casinos there have been adding more tables to attract these superstitious gamblers. Why Baccarat in particular became so popular all of a sudden, especially with Asian players? To be honest, I have no clue. The game is easy to play, I have to admit that, because it’s nothing more than making a simple prediction. But if this is the reason, I can’t tell. Maybe it’s the low house edge of 1.06%, 1.04% when playing Netent’s Baccarat Pro. That would be weird though as Blackjack pays out much better with a house edge of only 0.6. Some versions though, like Single Deck Blackjack, as played at the many Netent Casinos, have an even lower house edge of only 0.17%. 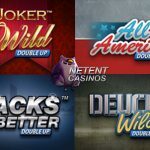 But whatever it is that attracts the players in the game, it is a fun game to play, easy to learn and in different versions available at the majority of the Netent Casinos. As I said before, Baccarat Is a very easy card game to learn without any complicated game rules involved. This game is all about making the right prediction, while having three options to choose from. The first one is the Banker, the second one is the Player and the third option is a Tie, which would mean both, Player and Banker, end up with the same amount of points. Baccarat Pro, modernly designed by Net Entertainment, follows the standard Baccarat rules with a 9 for 1 payout for a Tie. 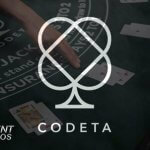 The theoretical return to player for this game is 98.96%, no matter if you choose to play Baccarat Pro, Baccarat Pro Low Limit or Baccarat Pro High Limit. This Professional Series version of the classic Baccarat casino game offers you there different versions, and it’s up to you to decide whether you want to play Baccarat Pro, the standard version with bets from 1.00 up to 100.00, or you rather go for the Low Limit Baccarat with bets between 0.10 and 10.00. The moment you are familiar with the Baccarat rules, and winnings start to flow in on a regular base, you can also choose to play Baccarat Pro High Limit. The aim of the Baccarat game is to predict which hand is going to be the highest, the Banker’s or the Player’s, while you can also predict a tie. Once you’ve decided what it’s going to be, you can place your bet on the field in response to your prediction. Once the game starts, the Player and the Banker are dealt either two or three cards. Third cards are dealt based on the third card rules, of which the extended game rules can be found under the question mark at the left bottom of this Netent table game. After cards have been dealt, the game compares the hand values of both. The hand with a value closest to 9 wins, however hands of equal value are a tie. I can give a long and boring description of how Baccarat works, but since the game isn’t that difficult to play, I would just start playing if I were you. 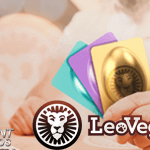 If new to the game, I would recommend to take a step back playing Baccarat Pro Low Limit or you can choose to play the Baccarat Pro game for free, either on this page or at the Netent Casino of your choice. 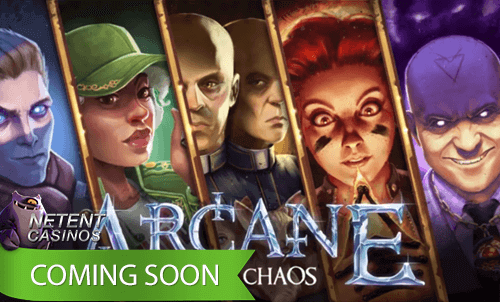 Of course you can play both games for money after logging in at your Netent Casino account. 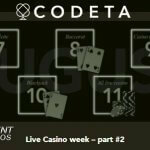 Although Live Baccarat isn’t a standard game yet at the Netent Live Casinos, if an online casino offers you other Live Casino games too, coming from other suppliers, the chance is big Live Baccarat is available too. This can be a nice step up after you’ve become familiar with online baccarat in general.